Zhiyun&s new Gimbal Weebill Lab is in line with the Transformer Gimbals trend, such as Moza Air X and Crane 3 Lab from Zhiyun, to which it is very similar. Like these, it offers several grip options for different purposes. 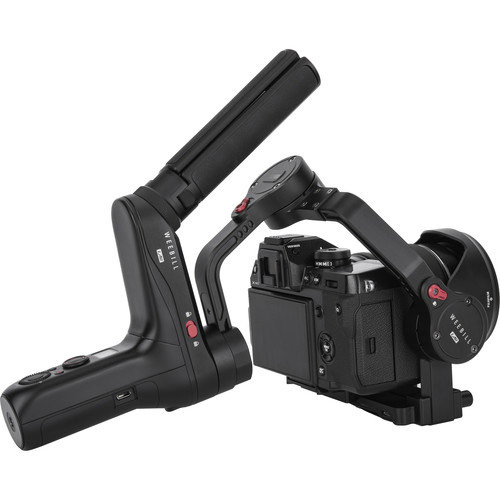 For example, the electronically 3-axis stabilized Weebill Gimbal can be guided above and below with one or two hands or can be used in a stable standing position for programmed motion control recordings. 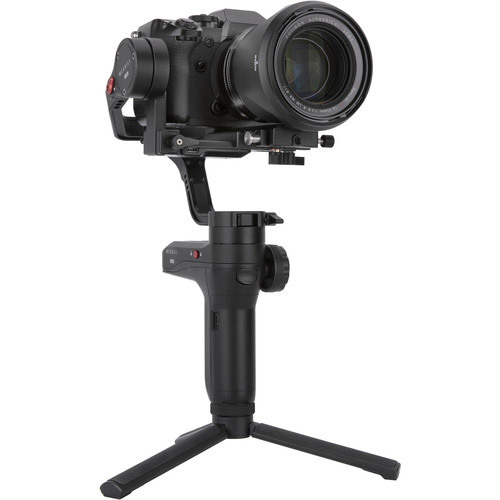 The maximum payload of the Zhiyun Weebill Lab of 3kg is lower than that of the Crane 3 Lab of 4.5kg - so it is more suitable for use with mirrorless cameras, the Crane 3 Lab with SLR cameras. Like this one, it also offers the option of using any tablet or smartphone as a dedicated monitor via WLAN and a special app - to do this, it is connected to the camera via HDMI via an integrated transmitter. Thus one receives there a high-resolution preview picture from the camera and extensive remote functions by App, in order to transfer among other things the camera attitudes or by Motion sensor control/Mimic mode the movements of the Smartphones on the Gimbal e.g. for Pan or Tilt movements. With the help of different modes like Panorama, Focus Timelapse, Motion Timelapse or Long Exposure Timelapse automated recordings can be made. 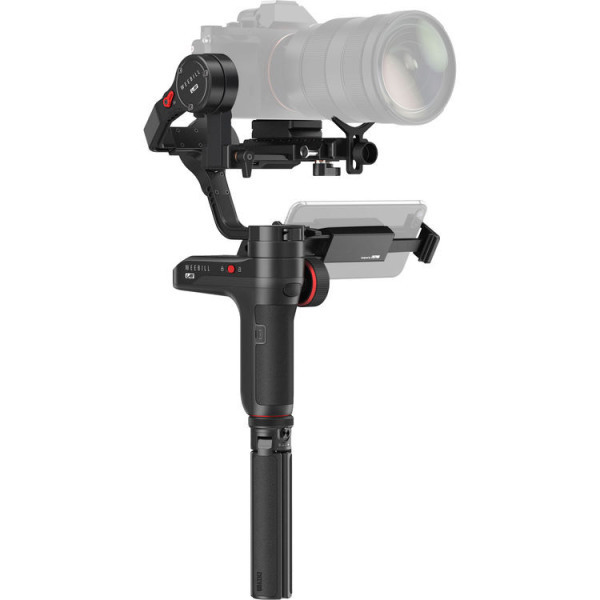 The Weebill Lab comes with double quick-release plates (Manfrotto/Arca-Swiss) for easy setup and quick device changes. The OLED display shows information and menus that can be operated using the control joystick and an underlying joystick. The handles are equipped with synchronous zoom and focus wheels for fine-grained settings as well as mode selection and control buttons. The Weebill Lab can be operated for 10 hours with a single charge of its two standard 18650 batteries - the camera can also be powered via the integrated connector. Zhiyun wants to make the premium character of the new Gimbals like the Crane 3 and the Weeebill clear with the new model addition "Lab". The Weebill Lab can already be pre-ordered at a price of about 630 Euro - but it is not yet clear when it will be delivered.